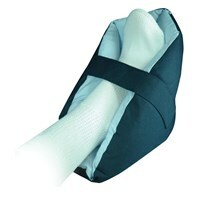 Surround your foot with a cloud Our cradle-shaped foot pillow envelopes your foot in a cloud-like softness to relieve skin pressure in bed or when seated. 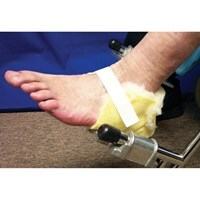 Perfect for sore, achy feet too Light blue poly-cotton with polyfill core and VELCROandreg; brand fasteners. One pair per pack. Fully washable. 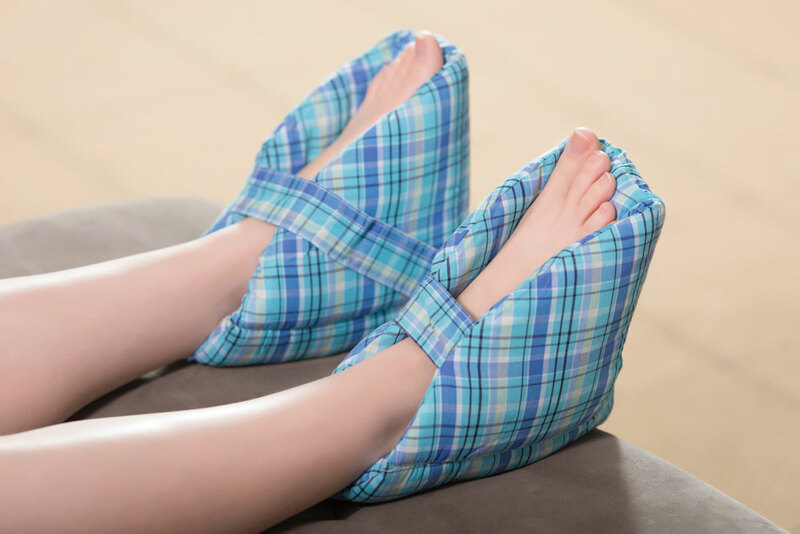 Plaid. Fits all.